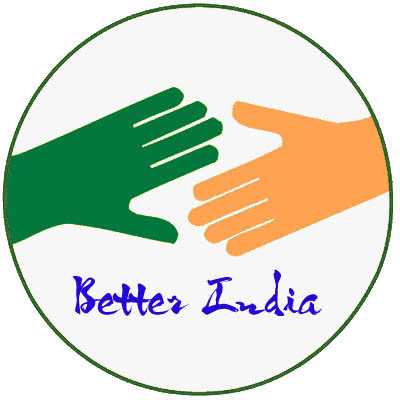 Home » world-affairs » YOU Can Help Make India A Better Place. You don't need to be a social worker or a politician to improve the state of your country. You can contribute simply by being a more responsible citizen, aware of your rights and responsibilities. ZB has listed some very practical every-day things that we all CAN do to make our country a better place to live in... things that we usually tend to ignore as being too insignificant to create a change. But the fact remains that little drops of water make a mighty ocean! We can be responsible citizens and keep our premise clean. We can take part in elections and vote for the deserving candidate. We can help by educating our children and not show prejudice to sons over daughters. We can help by investing in our country and provide employment. We can help by being entrepreneurs. We can help by being broad minded and not be part of caste-ism or class-ism. We can help by being religiously tolerant. We can help by investing in Govt. agencies like LIC or SBI. We can help by helping our neighbors in time of need. We can help by not crowding hospitals or public places. We can help by being clean and health conscious. We can help by knowing our culture and help preserve it (like Japanese). We can help by welcoming foreign tourists and make India more tourist friendly. We can help by not carving “I LOVE PRIYANKA CHOPRA” on public places and historical monuments. We can help by conserving energy and resources. We can help by not supporting political parties who support BANDH and HARTALS. We can help by not encouraging beggars. We can help by questioning public authorities and wrong practices. Well, there's a lot more in ZB's article. He has taken one step forward in the right direction... using the resources & skills he has, viz. writing. I have added my voice to his initiative by helping it reach out to more people. YOU also have a voice... whether you choose to use that voice or not is totally up to you. You can contribute by spreading awareness about his every-day suggestions too -- sharing the link on Twitter, FaceBook, Digg, whatever platforms your are aware of, and even your own blog. More importantly, you can implement those suggestions in your life as well. As for me... I just realized even my computer has an "Off" button! Thanks, Exactly the points that i wanted to convey. Thanks for this. I'm inspired lady!! Amazing post, and all these ideas are practically implementable, the only thing we need to do is stop fooling around. Like you said, once a handful of us start following it, the world will follow! great post. if only we were proactive instead of our general 'chalta hai' attitude. little things go a long way, especially when the youth takes up the responsibility. The shop where you buy the Cadbury would most probably have a dustbin! :) And even if they don't have one right now, if enough of us ask them "Where's the dustbin?" each time we buy a Cadbury from them, I'm sure they'll arrange for one very soon! Where there is a will, there is a way. The optimist sees the doughnut, the pessimist sees the hole. Thanks to you yaar! That was a very good list you put together. We all are so ready to always play the blame-game... we forget that it's no one's job to save the world... that if everyone would just do the job they're assigned, live their best life, the world wouldn't need any saving! So practically implementable... that's the beauty of this list! All credit goes to ZB. And yes, as u said, even a handful of us can start a great wave of change. For instance, just say "NO" to plastic bags each time you buy groceries. Eventually, the shopkeepers will have to arrange for some more eco-friendly alternative! Hey! That is a great list!! Really inspiring... Good one girl! :D Well... the list was created by ZB... so u'll hv to visit his blog to congratulate him! Or maybe not... if he has subscribed to the comments on this post, then perhaps he would have got your comment in his inbox! :D But I agree with u... the list is really inspiring... for the sheer fact that all these things are such common sense stuff! and, stop staring. it is not cool. Yes... it isn't! I can't think of ONE reason why guys would believe staring makes them look cool! We can help by conserving water, every drop helps! Conserving water also conserves energy! Think of how much energy it took to collect, purify and pump the water to you! Also think water scarcity and how so many fellow Indians have limited or no access to water! Thank you for such a positive act to better our nation! Thanks for ur inputs! Yes, conserving resources in all forms is so very important. Feed nutritious Aloo Jhol to poor hungry struggling bachelors. This will help you: 1) be a generous host and live up to the traditions of hospitality that Rajasthan is renowned for. 2) feed the hungry and fight malnutrition 3) Help the socially and economically disadvantaged 4) remove entrenched prejudices against bullying maru didis.